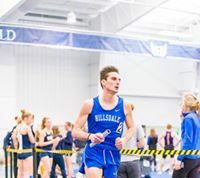 Since the start of the new year, the Hillsdale College Chargers have won six of their last seven games and joined the Uni­versity of Findlay in the no. 1 spot in the G-MAC rankings. Last weekend’s wins on the road against Ken­tucky Wes­leyan College and Trevecca Nazarene Uni­versity put the Chargers at 14 – 5 overall, and 10 – 2 in the G-MAC. The Chargers took an early command of the game against Ken­tucky Wes­leyan, leading by 11 at the half. With just under 10 minutes to go in reg­u­lation, the Pan­thers crept within four points, cutting Hillsdale’s lead to 35 – 31. But a 17 – 4 scoring run by the Chargers in the next six minutes sealed the victory in a 57 – 47 win. Lowry led the Chargers with 14 points, and had four rebounds. Senior forward Gordon Behr snagged seven rebounds while adding an assist and a steal. 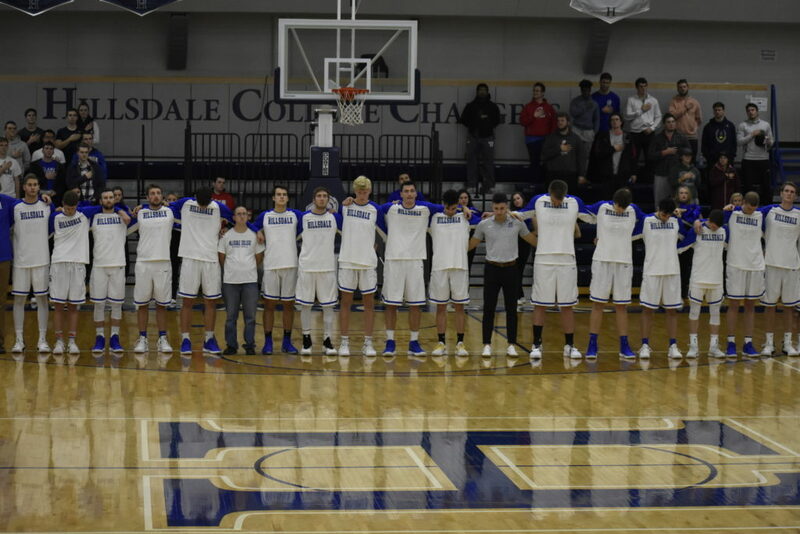 Hillsdale put up higher numbers in every sta­tis­tical cat­egory against Ken­tucky Wes­leyan, including turnovers; however, the Chargers were more effi­cient, as they scored 16 points off the Pan­thers’ 12 turnovers. Against Trevecca Nazarene, the Chargers played an aggressive first half, putting them­selves up by 10 points in the first five minutes. By halftime, they led 34 – 22. With six minutes to go, the Trojans trailed by only seven points. Lowry then sank a three-pointer and on the next pos­session, he added another point at the free throw line to put the Chargers ahead by 10. In the last 30 seconds of the game, junior guard Connor Hill went 4 – 4 from the free throw line. The Chargers won 79 – 56. Head coach John Tharp credits both of last week’s wins to his team’s defense. Senior guard Har­rison Niego and sophomore forward Davis Larson scored 20 and 13 points, respec­tively. Senior center Nick Czarnowski not only scored 11 points, but had seven rebounds, two assists, two blocks, and one steal in an all-around per­for­mance. His shooting per­centage — 71 percent — was the highest of the season. Hillsdale will host its next two games. The Chargers will take on the Tiffin Uni­versity Dragons (7 – 13, 3 – 9 G-MAC) tonight at 7:30 p.m. On Sat­urday at 3 p.m. the Chargers play the Cedarville Uni­versity Yellow Jackets (12 – 8, 9 – 3 G-MAC). Cedarville is in third place in the con­ference standings. Hillsdale beat Cedarville on Nov. 29, but Cedarville beat Findlay, who is cur­rently tied for first with the Chargers. The men’s bas­ketball team is on a real roll, tied with Findlay for the GMAC lead. They now have a 3 game home stand-let’s see if we can secure 3 more wins!